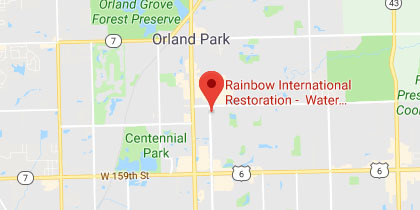 Founded in 2007, Rainbow International Restoration of South & West Suburbs has quickly established itself as a leading disaster restoration and cleaning service provider for homes and businesses in Orland Park, IL. Our founder, John Gurtler, spent time in the construction industry, and leveraged this experience to turn our company into the full-service restoration provider that we are today. No matter the scale or type of property damaged incurred, our specialists will respond rapidly to get you back on your feet. Outstanding results and customer service are our top priorities. The range of disaster restoration services that we provide to residential and commercial property owners address the most common types of property damage experienced across the greater Midwest. 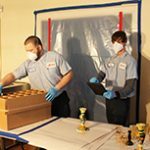 Whether your building and its contents are put at risk by fire, mold, water, smoke, or similar elements, we will do everything possible to prevent damage and return them to their original condition. Our technicians are IICRC certified and must pass a background check before employment. Each technician that we send to your home has our stamp of approval. We have professional relationships with local insurance agents and adjusters (as well as realtors, home inspectors, property managers, roofers, general contractors, etc.). We work directly with all major insurance carriers and provide direct billing to your insurance provider to cover the claim. We offer a price match guarantee in which Rainbow International Restoration of South & West Suburbs will meet or beat competitive proposals that are also in line with the IICRC’s standard of care. Residents of Orland Park, IL, experience all four seasons. 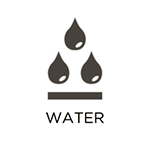 This means that their buildings and belongings are also exposed to a lot of potential causes of water damage. If your property experiences a leak, burst pipe, sewage backup, or similar event, it is important that you contact restoration experts right away. At Rainbow International Restoration of South & West Suburbs, we utilize advanced water extraction, dehumidification, and air moving equipment to naturally eliminate water and excess moisture from your property. 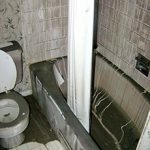 Standing water in your home or building can lead to serious damage and mold growth, but the presence of sewage in the water can make the situation much worse. The waste materials in sewage get absorbed with the water in porous building materials and furnishings, often leading to permanent damage, and they can trigger very serious health effects. It is important to stay away from any water that may contain sewage and call for professional cleanup immediately. Rainbow International of South and West Suburbs provides sewage cleaning services for homes and businesses affected by sewage in Orland Park, IL. Our technicians will remove the contaminated water and permanently damaged materials and ensure that the affected areas are thoroughly cleaned and disinfected. 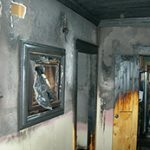 Fire damage is one of the most destructive types of property damage that residents of Orland Park, IL, can experience. 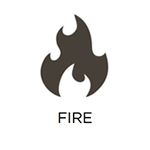 Buildings and belongings can be consumed by the flames, and harmful smoke and soot can permanently damage items. At Rainbow International Restoration of South & West Suburbs, we provide fire damage restoration services to give your building and belongings a fighting chance. Our ultimate goal is to give you greater peace of mind and cover you from the initial pre-cleaning through the repair of significantly damaged areas. We offer 24/7 availability in order to respond to emergencies. At Rainbow International Restoration of South & West Suburbs, we provide complete mold remediation services to property owners in Orland Park, IL. 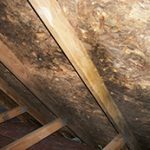 Whenever mold takes hold in residential or commercial settings, it is important to address it swiftly. It can spread to cause structural damage, lower your indoor air quality, and result in dangerous health complications. 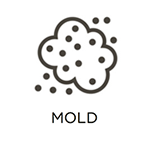 Through our services, we remove all traces of mold from your building and restore a safe and healthy indoor environment. We guarantee that your property will pass clearance tests done by a third party after our mold removal process is complete. When damaging events occur on your property, everything within your building is at risk of being destroyed. At Rainbow International Restoration of South & West Suburbs, we offer content cleaning and pack-out services to prevent this. With these services, we will ship your damaged belongings to our secure facility to be sanitized and restored. No matter the cause or extent of the damage, our experts will do everything possible to return your items to their original condition. We will then ship your content back once your home or building has been restored. We offer these services to property owners in Orland Park, IL that have experienced any type of disaster. 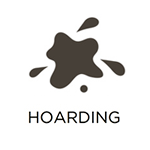 Hoarding is not what it seems on the surface as it is a complex mental disorder involving anxiety and depression. Those affected have a very difficult time throwing away anything they have gathered in the home which is what leads to extensive clutter. 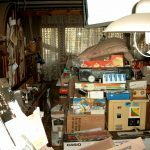 The accumulated clutter can lead to very dangerous and unsanitary living conditions as it blocks pathways within the home, increases the risk of fire, causes injuries, and allows bacteria, mold, and other dangerous substances to grow. A trusted friend or loved one must reach out to someone who struggles with hoarding to help them decide to clean out their home. Once they have made the decision to clean their home, contact Rainbow International Restoration of South & West Suburbs for hoarding cleaning services in Orland Park, IL. We will take a respectful approach and work with the affected individual to fully clean and restore their home to safe living conditions. Everybody is aware of the devastation that fires can cause in residential and commercial settings, but fewer realize the damage that smoke and soot can cause in the aftermath. Buildings and their contents can be permanently damaged within 72 hours of initial exposure if they are not properly treated. At Rainbow International Restoration of South & West Suburbs, we provide smoke and soot removal services in Orland Park, IL to ensure that all affected materials are treated before they sustain permanent damage. We utilize specialized equipment and processes to clean and restore affected surfaces and provide complete deodorization services as required. Lingering odors are a very annoying presence in a home or building and they are very difficult to remove. Cleaning affected objects and surfaces and using air fresheners may mask the odor temporarily, but it will not remove it. Odors get absorbed in furnishings, clothing, and porous building materials and they need to be extracted from these materials to be removed effectively. At Rainbow International Restoration of South & West Suburbs, we provide odor removal services in Orland Park, IL to remove foul odors from a wide range of sources. Our technicians use ozone treatments to oxidize and neutralize foul odors, leaving your property odor free. The idea of a violent crime or serious accident happening on your property may seem far-fetched, but these types of events can happen at virtually any time. If such a situation does occur, you need to know how to react to keep yourself safe and alert the proper authorities. The first thing you should do is call emergency responders, but you will also need to make a call to a licensed professional to handle the restoration of your property. 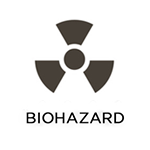 Dangerous biohazard materials like blood and bodily fluids can spread infection and diseases so they must be cleaned up by a professional. 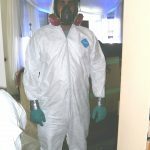 Rainbow International Restoration of South & West Suburbs provides biohazard and trauma scene cleaning services to restore the scene of a major injury or death in Orland Park, IL. Our technicians will work quickly and discreetly to completely restore and sanitize the scene without jeopardizing the crime scene investigation.